The summer gas crisis may have abated, but as CBS News Correspondent Jacqueline Adams reports, the pressures it put on America's fuel industries may come back to haunt households this winter. While gas prices have fallen in some placeslike Milwaukee, where they've dropped by more than 36 cents on the gallon in the last few weeksacross the country the average prices of gasoline, natural gas, and home heating oil are on the rise. And because of the tight market this season, oil companies haven't been able to stockpile home fuels, as they normally do during summer months. There are several explanations for the persistent price problem. Supplies are short, no one's conserving and, critics charge, the Clinton Administration has no plan. Senator Charles Schumer, D-NY, said, "The gig is up, and unless we both increase supply and moderate demand, we will have real trouble that's going to throw the prosperity of our economy into jeopardy." It's unlikely that help is going to come from OPEC, whose president said this week that now is the wrong time to increase production, or Congress, where this week the Senate refused to suspend gas taxes. And blaming the oil industry is looking more and more like a wrongheaded approach. In its analysis of Midwest price hikes, released this week, the Department of Energy doesn't accuse oil executives of price gouging. That's led to charges by Speaker of the House Dennis Hastert that the Clinton administration scapegoated the oil industry. On June 15, members of Congress from Illinois, Wisconsin and Missouri, the hardest-hit states, met with Environmental Protection Agency head Carol Browner. Now, Hastert has sent Browner a letter noting that at that meeting she'd said "that this situation was not a supply issue." But now, Hastert charges that a June 5 memo from the Department of Energy shows that lack of gasoline and EPA regulatons were "in fact the primary causes of higher gas prices," and adds, "nowhere does this document indicate or imply that price gouging was a factor, yet you continue to point the finger..."
The memo says supplies of reformulated gas in the Miwaukee/Chicago area "appear to be tight but adequate," but notes that "any problems could cause shortages," and that "there is little margin for error." The administration has always insisted there was no good explanation for the price hikes. The vice president had read the Department of Energy memo, but still delivered a blast at the oil companies: "Why have their profits gone up 500 percent in the first part of this year?" he asked. "I think its outrageous. And I think that big oil may have gotten too big." Oil companies say the time for blaming them is over. "We're disappointed with politicians that have chosen to do that. And they should, quite frankly, apologize," said John Felmy of the American Petroleum Institute. 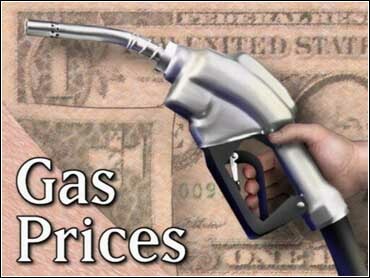 ThFederal Trade Commission continues to investigate the run-up in gas prices. The EPA and the Energy Department called for that investigation and say the speaker is playing gas price politics. The speaker still wants EPA to waive some regulations for reformulated gas in the Midwest -- which it has so far refused to do, pointing out they've resulted in much cleaner air.